Raiser's Edge NXT releases nifty features and enhancements on a regular basis, so keep an eye on this space each week for details about the latest, such as these new additions. Enjoy! 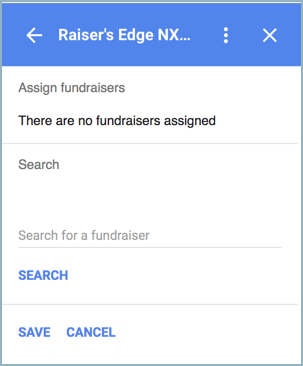 With the Raiser's Edge NXT for Gmail add-on, you can view constituent details about email senders and recipients and create actions from their messages in your Google Gmail inbox. When you add an action with the add-on, you can now select Assign fundraisers to search for who to assign it to. For more information, see Raiser's Edge NXT for Gmail. Note: To ease fundraiser assignment, actions created in Gmail are automatically assigned to the same fundraisers assigned the previous action. To assign actions to yourself, your constituent record must be marked as a fundraiser. 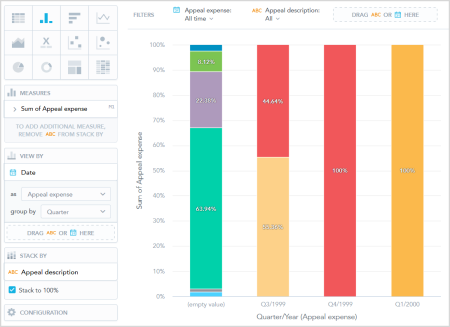 To help you better compare your data, you can now display an insight's data proportionally in Insight Designer. 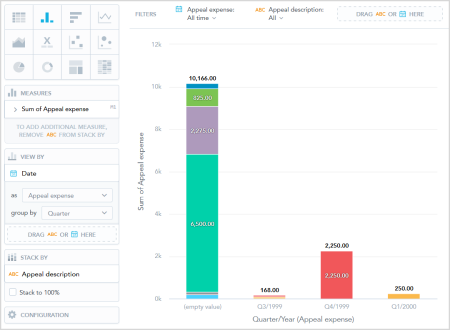 Bar, column, and area charts now have the option to stack your data by percentage so you can see your information as proportions of the total. When you view a measure in a bar, column, or area chart and you add an attribute under Stack by, you see the size of each value. Now, you can select Stack to 100% under Stack by if you prefer to see the values as percentages of the total. For more information, see Measures and Counts. Note: Don't see this feature? No need to worry. If all goes well based on feedback and usage, expect its wider release in a future update. Note: This What's New automatically appears after a new release so you know what's what. To quickly check back and review a new feature, select What's new at the top of any Help topic. To receive this information as an email, subscribe to the blog.